Yamaha Corporation is not only good in two-wheeled vehicle manufacturing industry. It turns out the Japanese giant is also well known as a manufacturer of boat engines and musical instruments. To show their expertise to produce the best products, the musical instruments division in collaboration with Yamaha Motor Co. collaborate in a project called "AH A MAY". 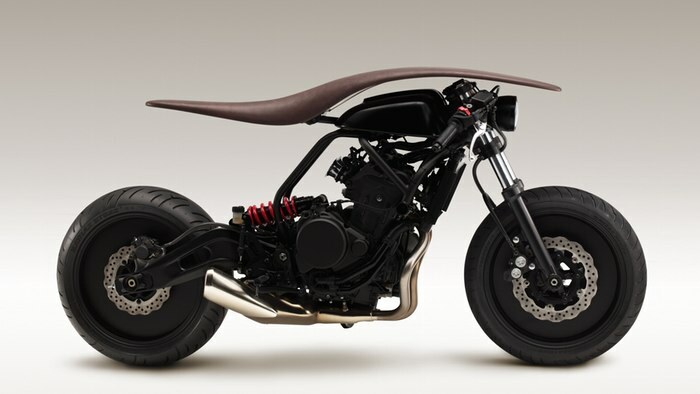 The result was quite astonishing, as reported by Gizmag, on Wednesday, March 25, 2015, the results of the collaboration succeeded in presenting a wonderful concept motorcycle named "Yamaha Root Concept". The motorcycle concept built based on the Yamaha MT-07 and has displayed in the "Ninth Edition of the Biennale Internationale Design Saint-Etienne 2015" which took place March 12 to April 22, 2015, in Milan, Italy. Because the motorcycle concept is the result of collaboration with the Yamaha's musical instruments division, practical the Root's design can not be separated from the structure of musical instrument such as piano. Where the motorcycle concept comes with a unique shape. 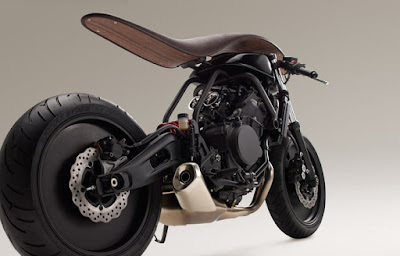 There's one continuous curved wood-and-leather platform like a surfboard that is placed on top of the fuel tank and integrated as the bike's seat, its shape flowing from the seat to the tank and made curved with a brown color similar to the piano curve. "The idea of ​​the design allows the rider to be a part of the passing scenery. Inspired by a horse motif which aims to provide a sense of unity between people, nature, and the vehicle," wrote Yamaha.